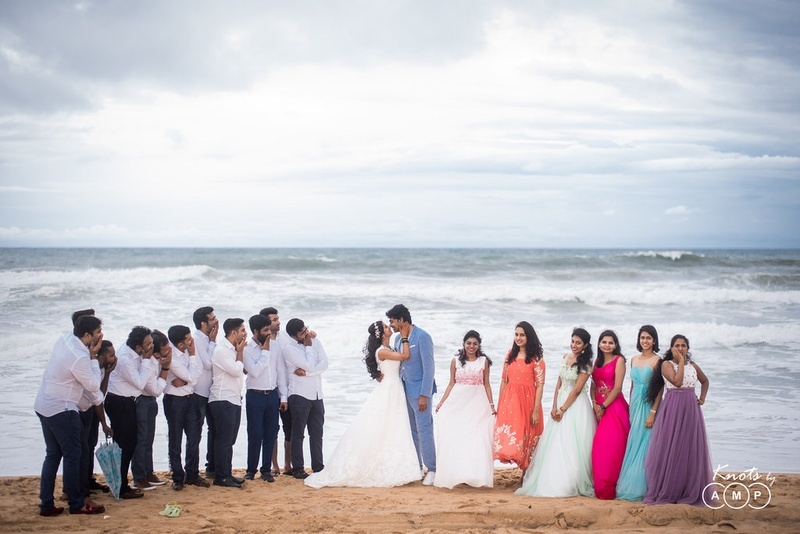 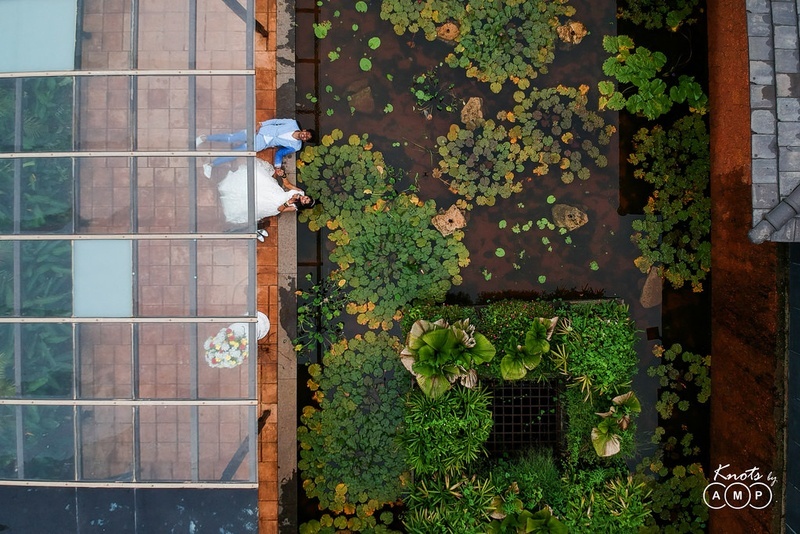 This Goa destination wedding gave us #bridetribe goals and the coolest reception ever! 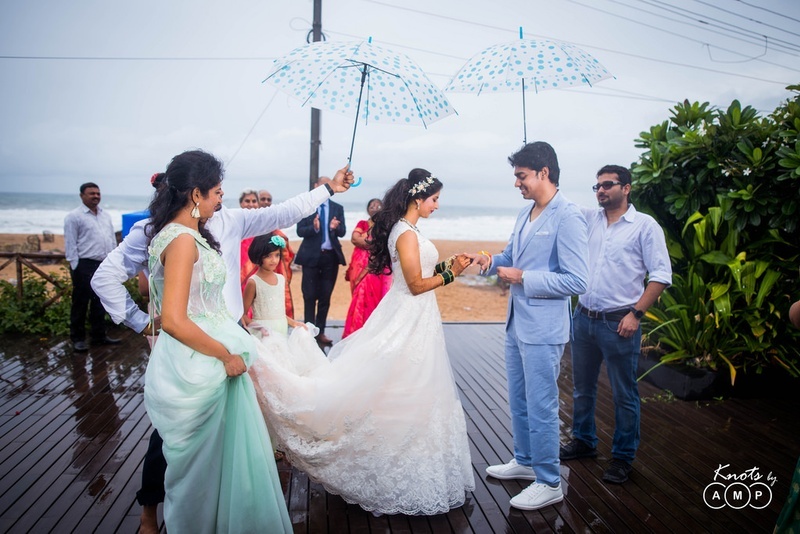 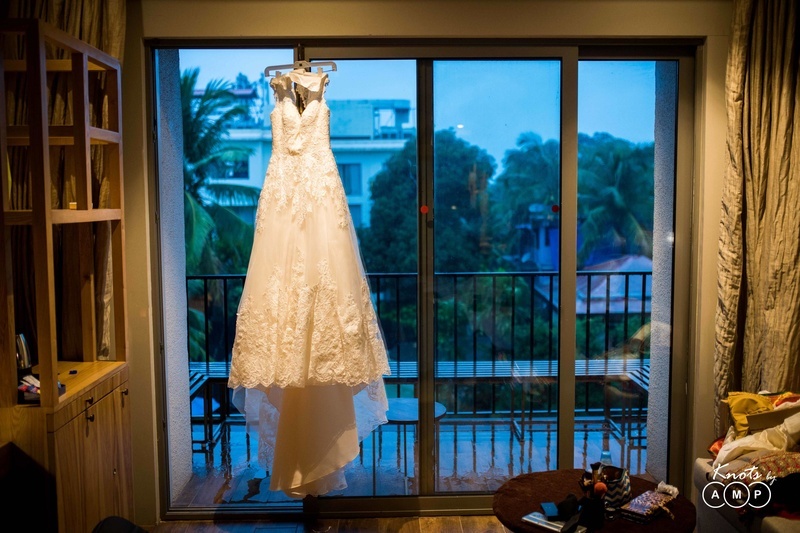 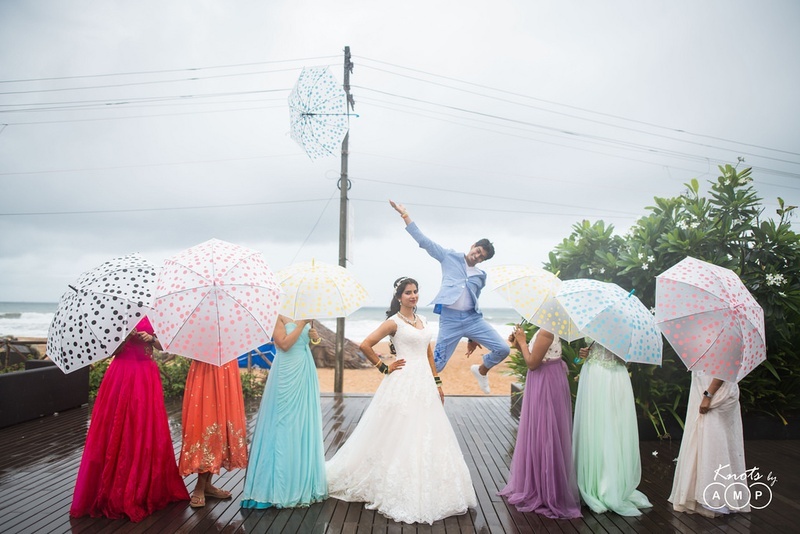 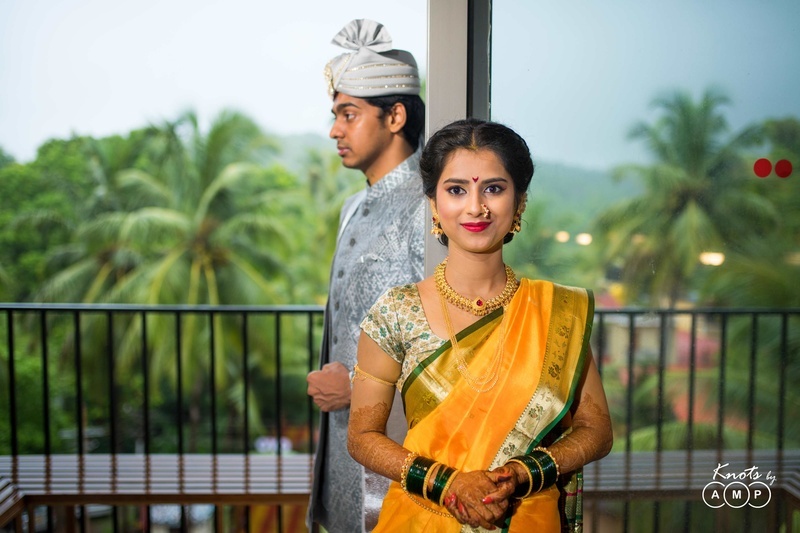 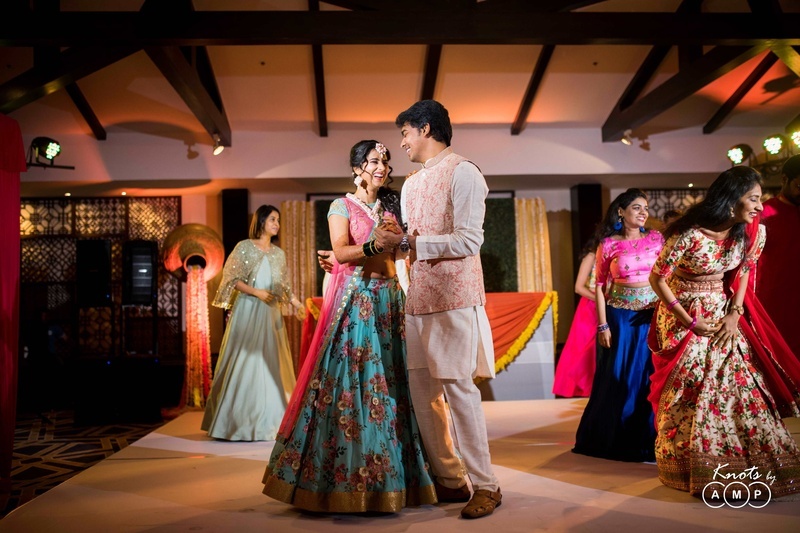 Sai & Trupti got married at La Brise in Goa, with the pre wedding functions happened at Novotel Shrem, Goa. 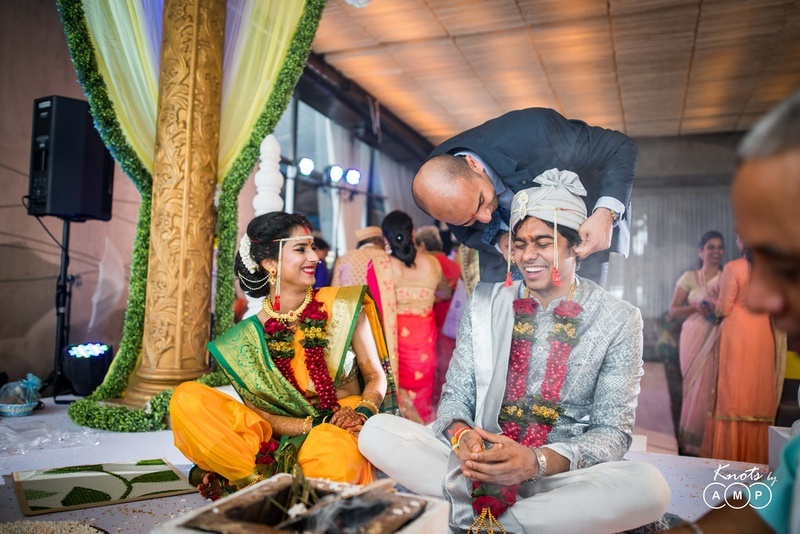 A beautifully planned wedding, where we saw a cross of diffirent cultures and non stop fun for three days. 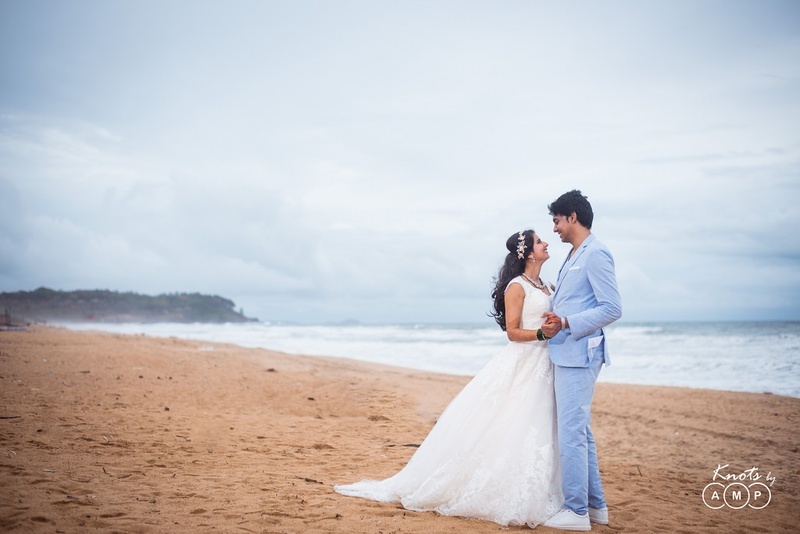 The first day began with a beautiful couple shoot in one the most serene beaches of Goa. 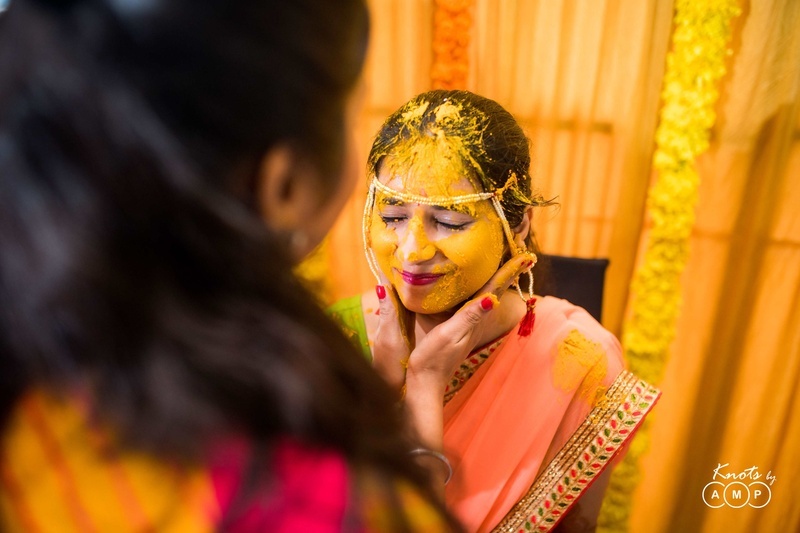 The next day started with Haldi. 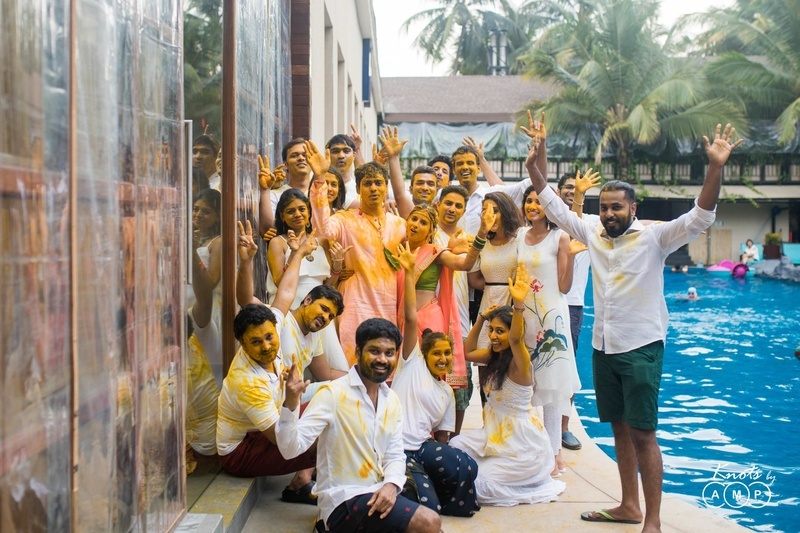 Well played by family & friends, it was a crazy affair. 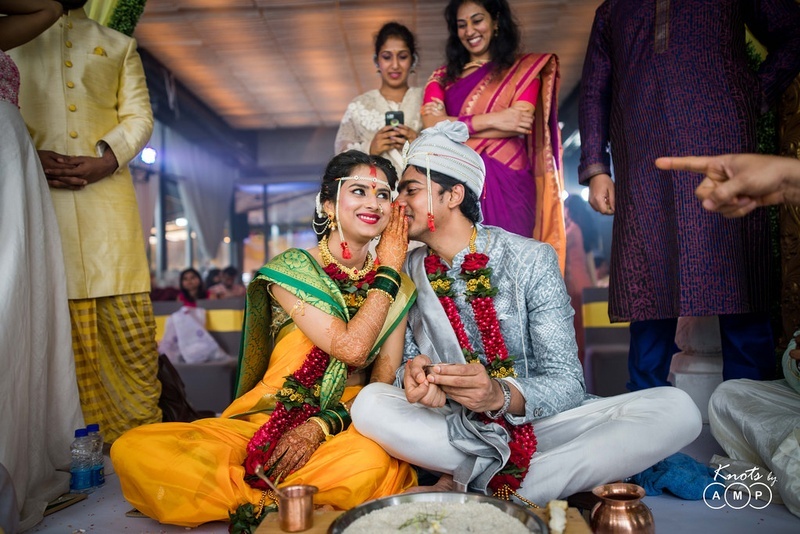 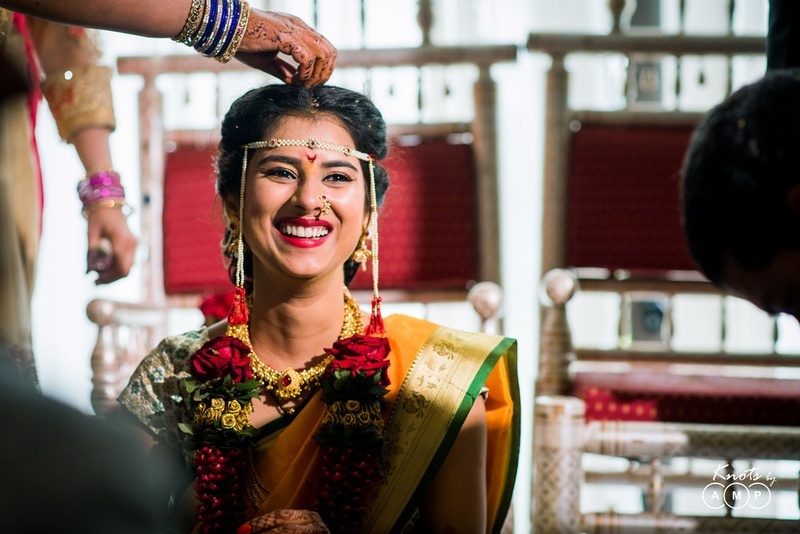 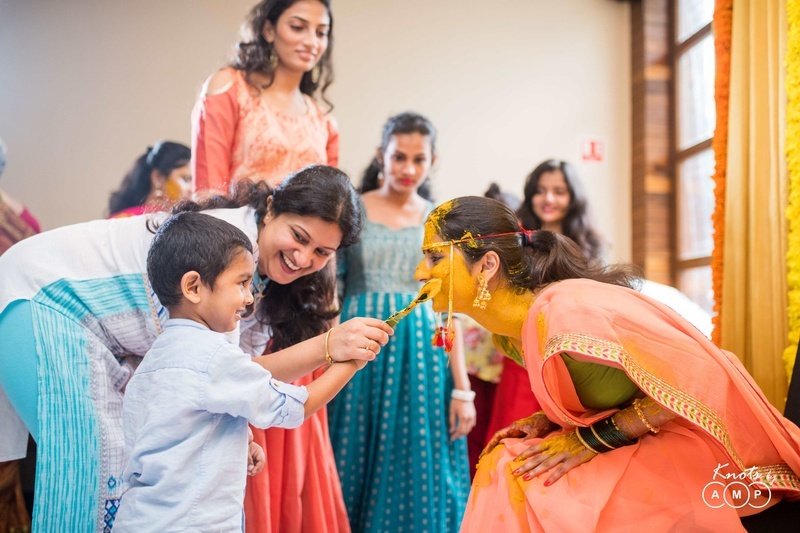 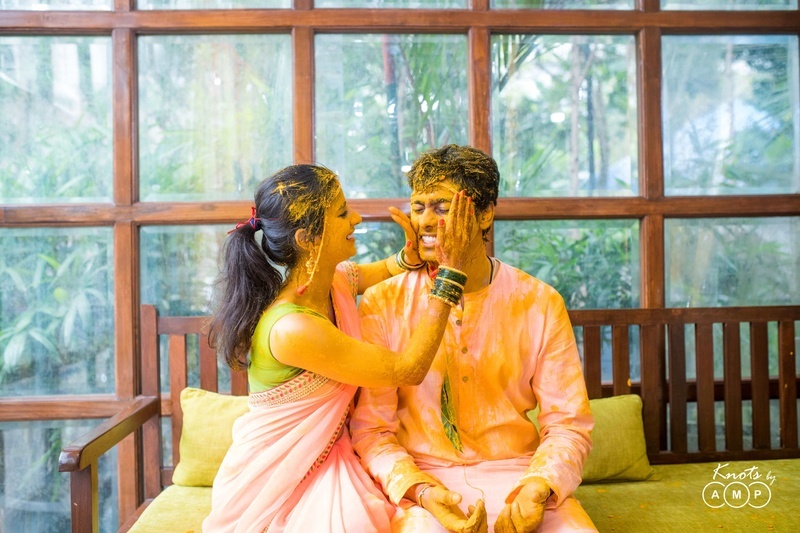 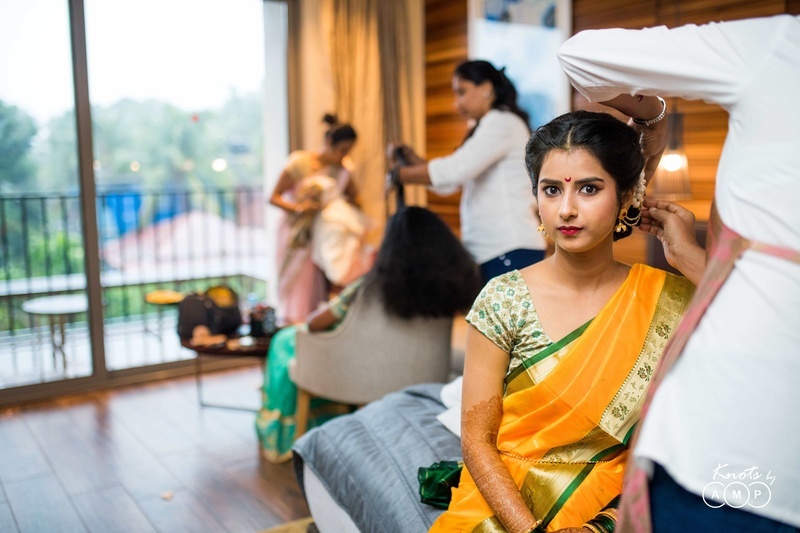 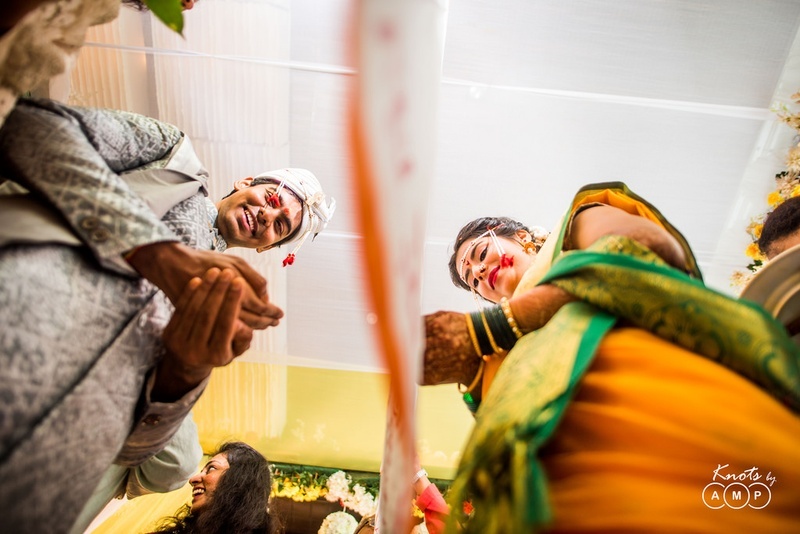 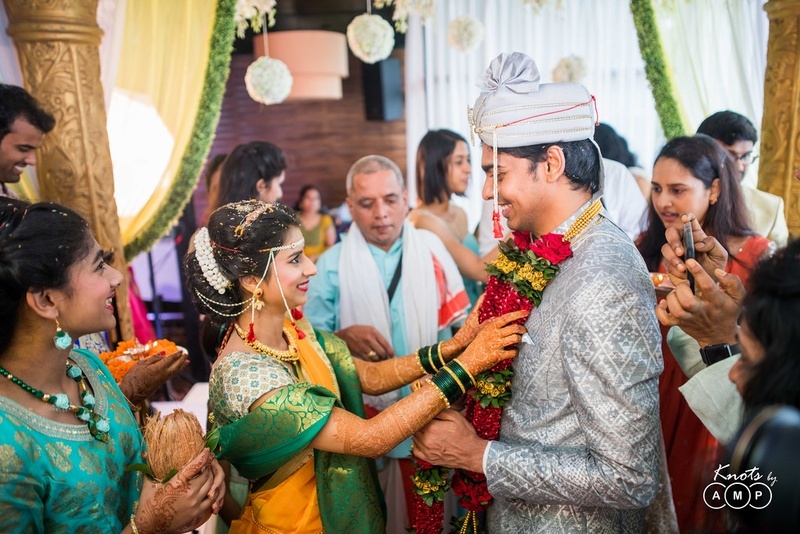 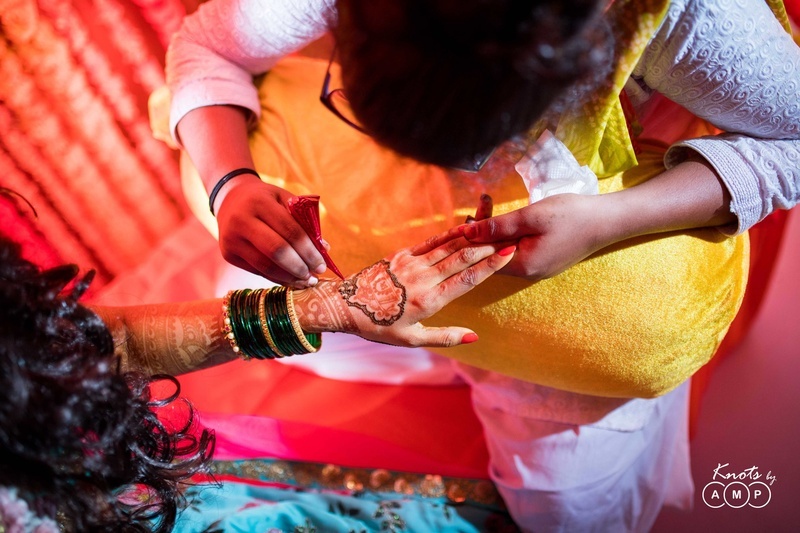 Knots by AMP captured the different emotions and moments such as the bride putting haldi on the groom perfectly! 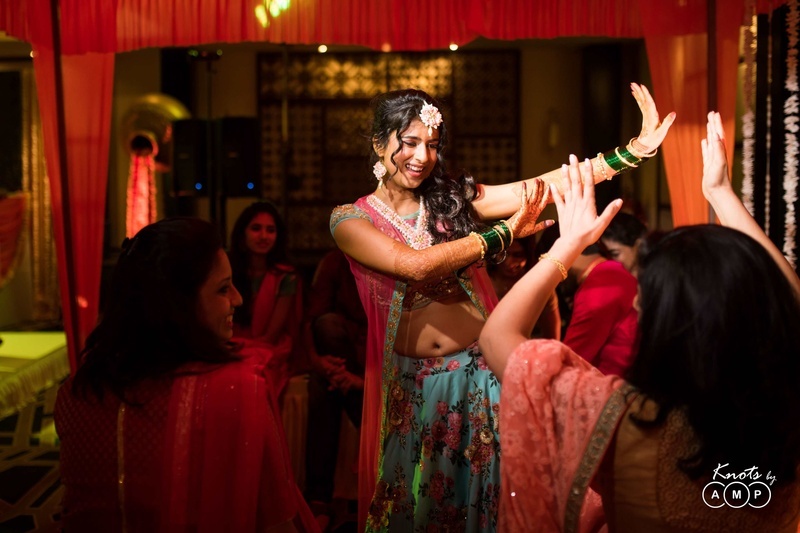 The night ended with a beautiful sangeet, where the bride, groom & the friends nailed their stupendous performance. 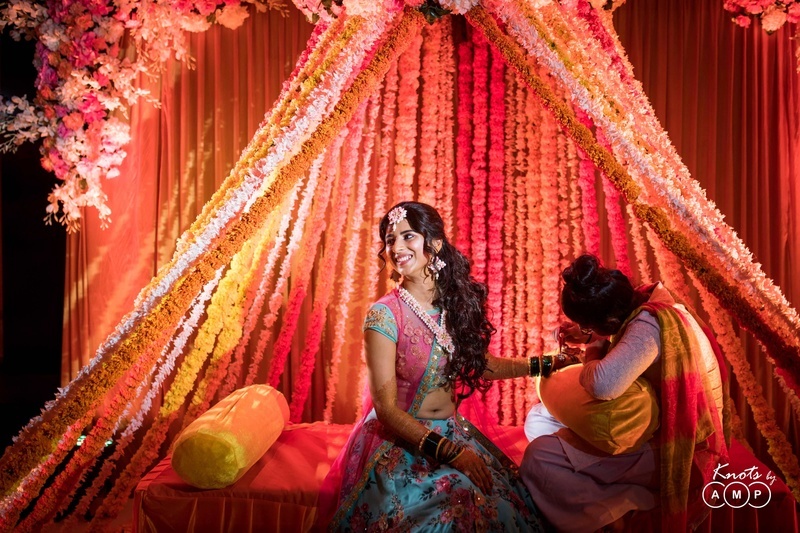 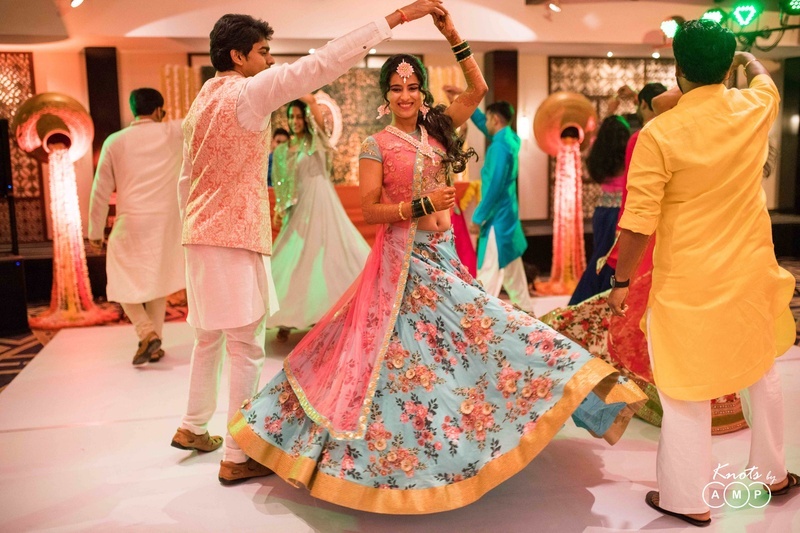 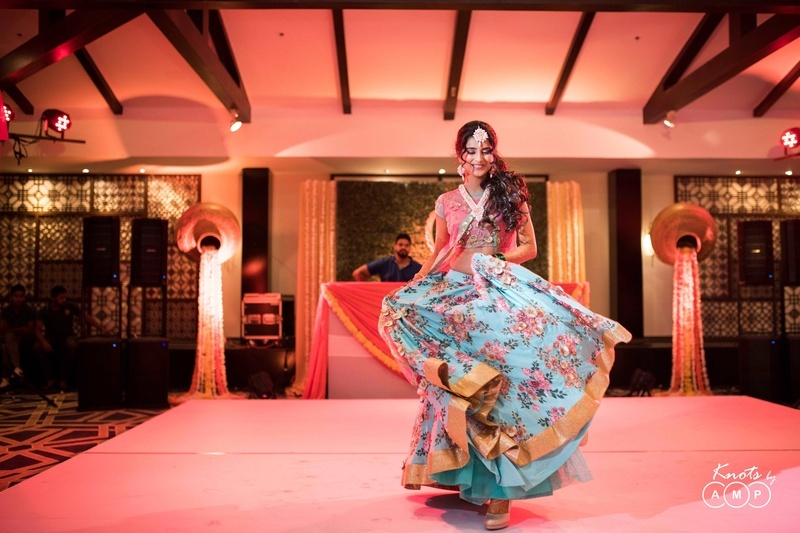 The bride specially performed on“Nazar jo teri lagi main deewani ho gayi“ A destination wedding is all about having fun, Sai & Trupti made sure that was the main essence of the wedding. 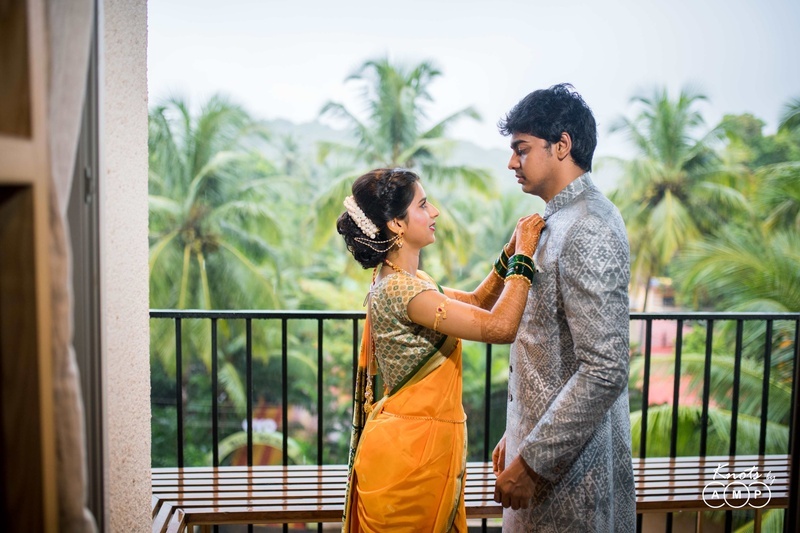 The wedding day and rituals started early, it being a Maharashtrian wedding. 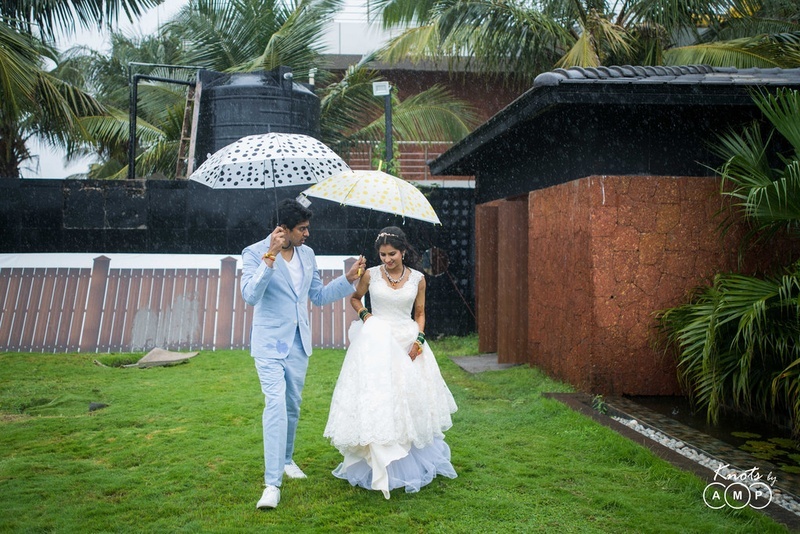 The monsoon wedding was safely planned indoors in La Brise. 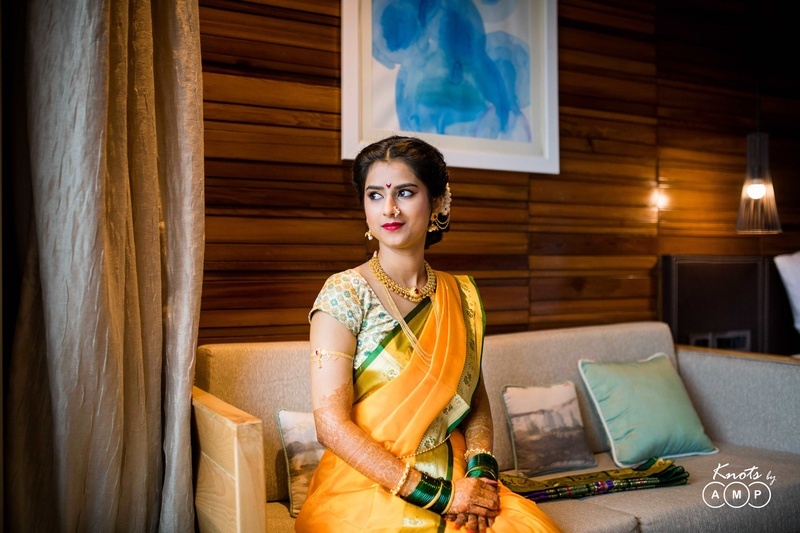 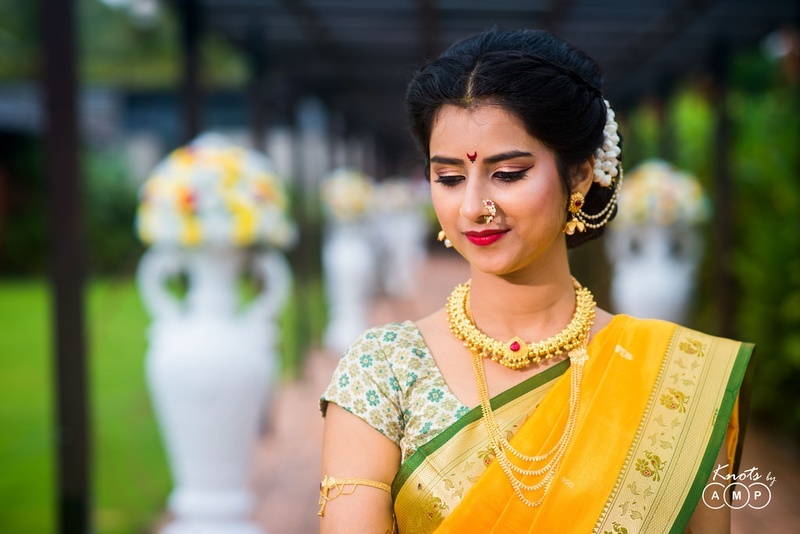 We love the way the bride Tripti has paired her yellow saree with minimalist gold jewellery, balancing the whole look with cooler colors. 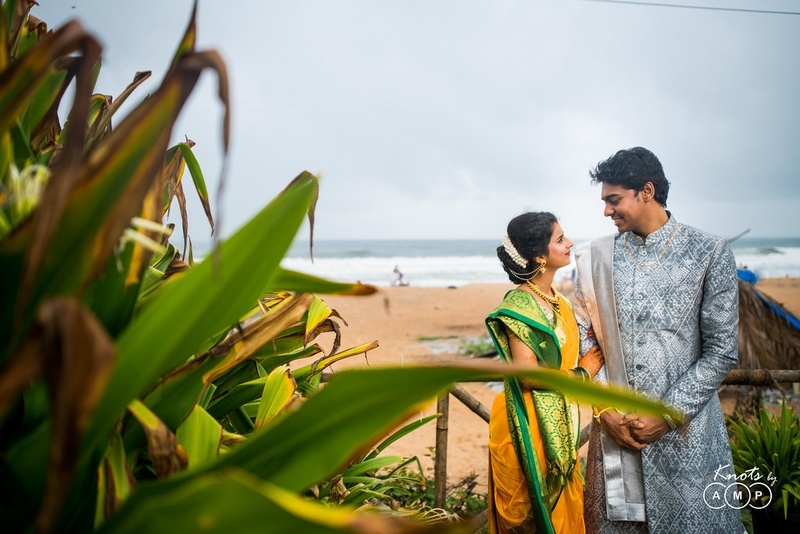 Post the wedding, there was a ring exchange planned right at the Candolim Beach, and it was just beautiful. 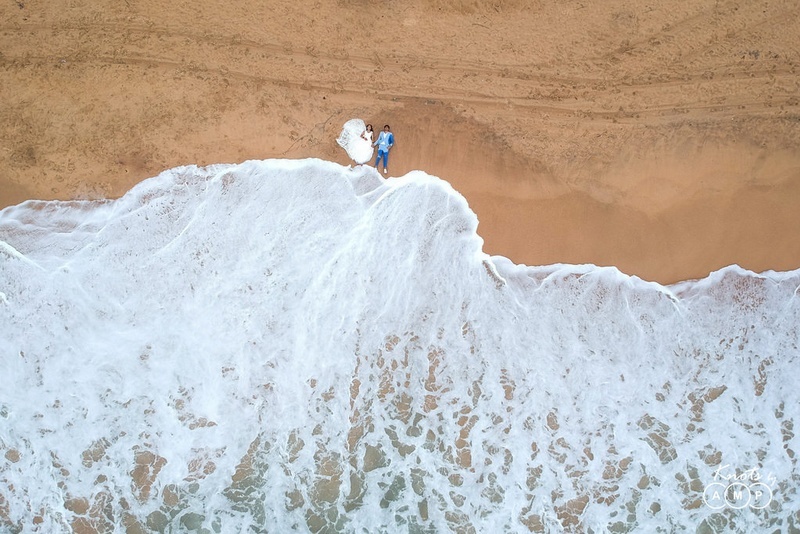 Knots by AMP captured the quirky post wedding shoot session with a drone and unique poses.